The Maryland Library Association Maryland Legislative Day was held on January 25, 2012, a bit earlier than in years past. 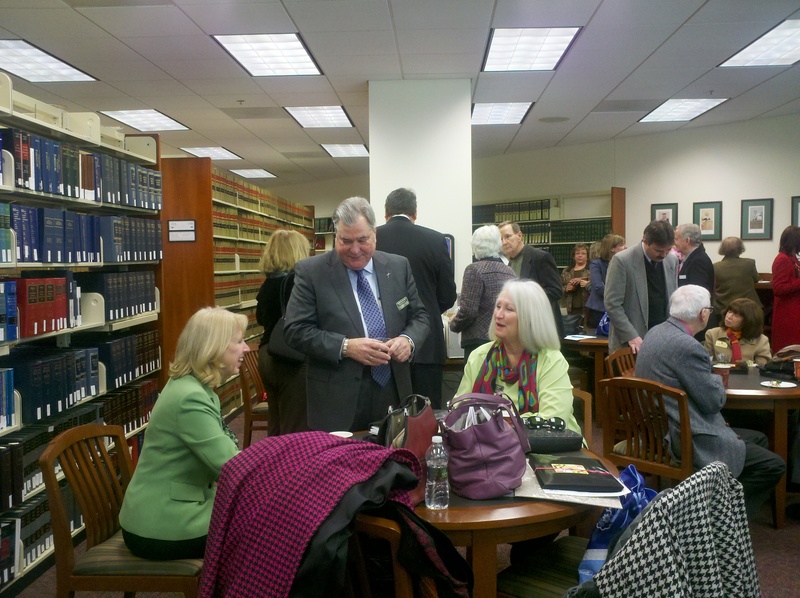 The day began as always with a breakfast briefing in Anne Arundel County Public Law Library. The breakfast, provided by LLAM, is always appreciated by the librarians who have traveled from across the state for the event. Cas Taylor, former Speaker of the House and now lobbyist with the firm Alexander and Cleaver that represents the Maryland Association of Public Library Administrators, briefed the group on the issues before the legislature of significance to Maryland libraries. After the briefing everyone headed to the State House where proclamations were read in both the Senate and House chambers. The House even gave MLA president, Lucy Holman, an opportunity to speak. 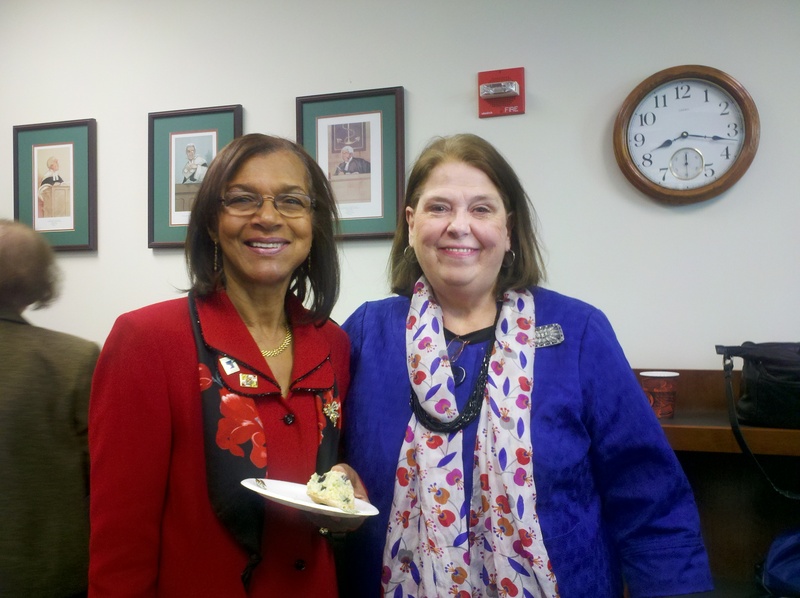 The rest of the day was dedicated to delegate visits. Librarians from most of Maryland’s counties visited their delegations to distribute information packets and talk about library issues. 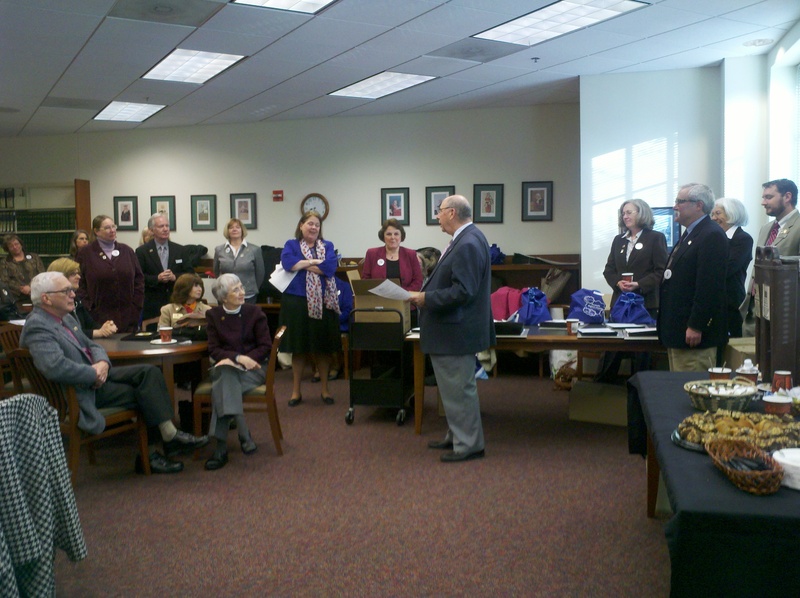 With the Library Legislative Day being scheduled earlier in the session than usual, more delegates were available to meet with the librarians. All members of the House and Senate and the Governor’s office were invited to the MLA reception. As usual, this was a lovely event with librarians and members of library friends groups being able to talk with the legislators. This year DLLR Secretary, Alexander M. Sanchez, addressed attendees and voiced his support for the DLLR /public library partnership in workforce initiatives. The number one issue this session involves the budget proposal to shift pension costs from the state to counties. Although this proposal is most often seen as an issue that concerns teacher pensions, it would also affect public libraries. Libraries are only a tiny percentage of the whole pension shift, yet such a move could have a large detrimental impact. There is a concern that since schools have the protection of maintenance of effort, the libraries would shoulder the burden of the pension shift. Delegates were asked to see that library pensions not be shifted to the counties. Other budget issues concerning libraries were capital funding for public libraries and the per capita funding. Librarians asked their representatives to protect both of these sources that are essential in the continued operation and growth of Maryland public libraries. As of this writing, it has not been recommended that the capital funding be removed from the budget. There were bills introduced, SB858/HB1001, that did not concern funding of libraries. These bills would designate public libraries as essential services in times of emergencies. This bill will make public libraries among those public services that Maryland’s Emergency Management Administration (MEMA) will list as a priority in getting services restored and funds allocated. Both of the bills have passed. It is always a relief when there are no bills introduced that would affect law libraries adversely. Still, it is nice to know that if there were such a bill that the MLA Legislative Panel is there to address it. We will look to MLA for support if UELMA is introduced in Maryland. 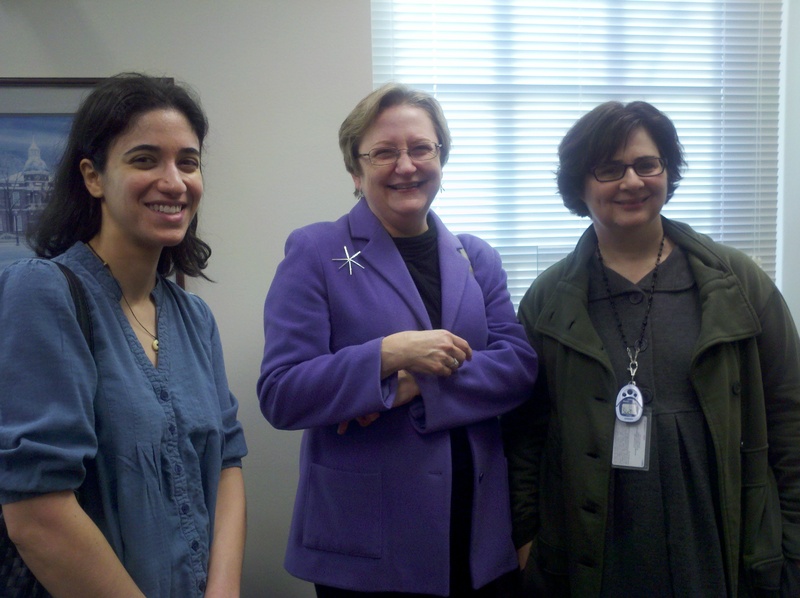 LLAM members who attended Maryland Library Day at the Legislature this year were Joan Bellistri of the Anne Arundel County Public Law Library, Monica Clements of Legislative Services, Susan Herrick of the University of Maryland School of Law, Mary Jo Lazun of the Maryland State Law Library, and Vicky Yiannoulou of the Prince George’s County Public Law Library.